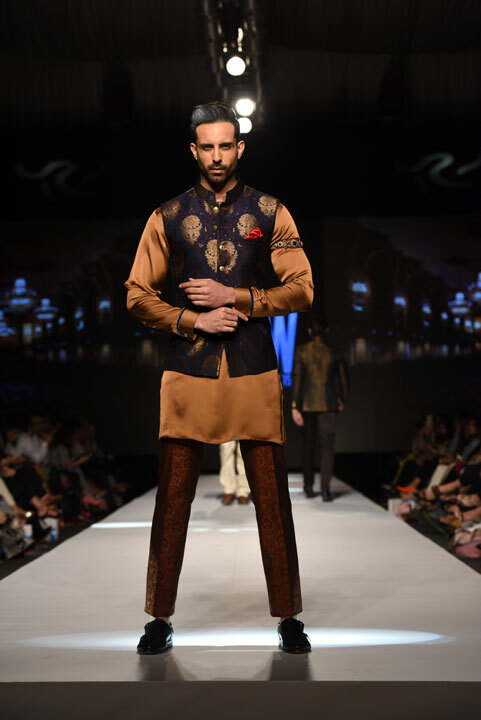 Amir Adnan has become iconic in Formal Menswear. 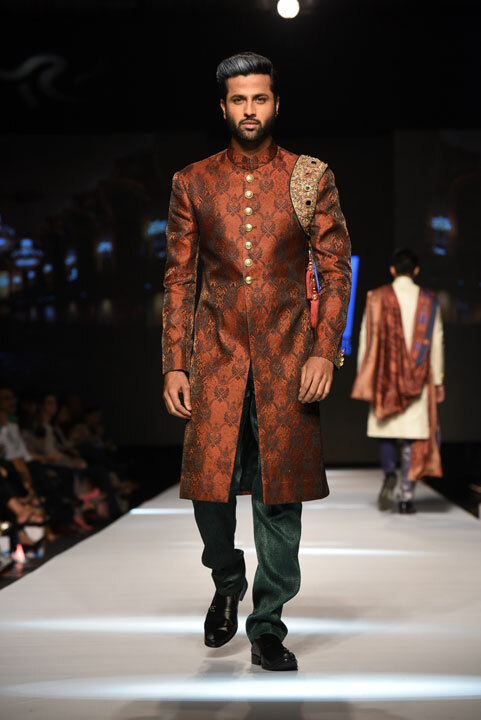 The brand keeps creating innovating designs, both western and eastern, which become trends, specially during wedding season. 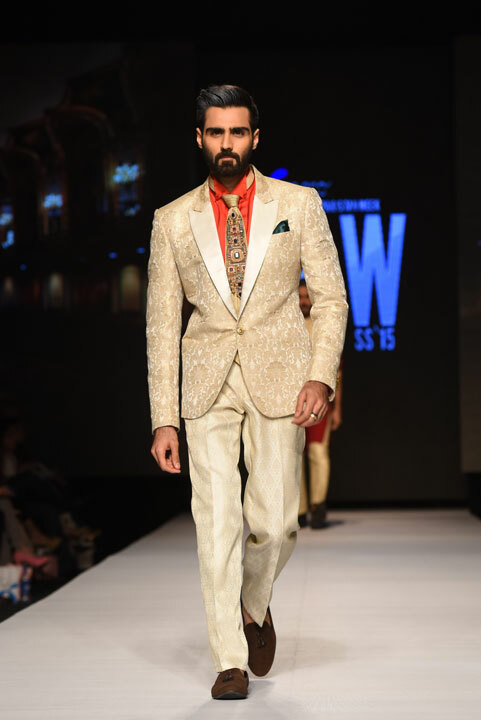 Its easier, perhaps, do go bonkers with ideas when it comes to womenswear, but creating something different and unique year after year in formal menswear is, or so I believe, an art apart. 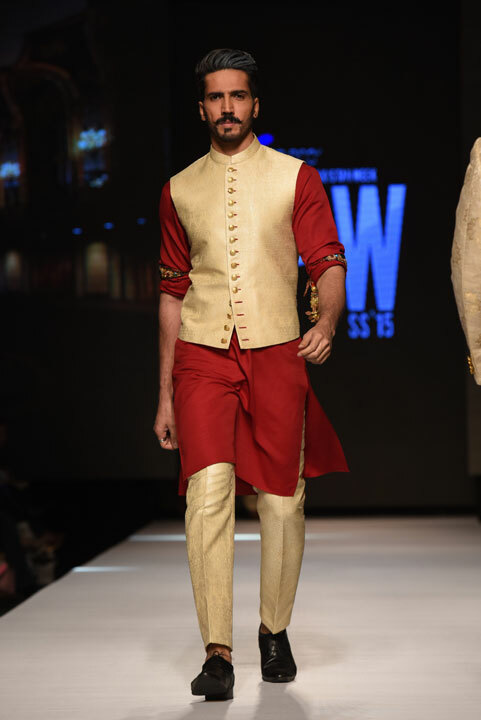 The collection shown shown in Telenor Fashion Pakistan Week 2015, aptly named SHAH ZADEH, truly transformed every model into a prince as they walked out on the ramp. 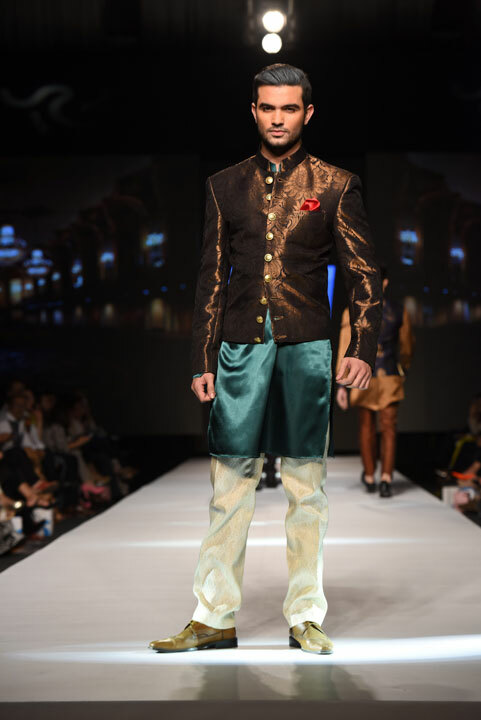 Not everyone's cup of tea perhaps and catering to a niche market, the collection was an embodiment of royalty. 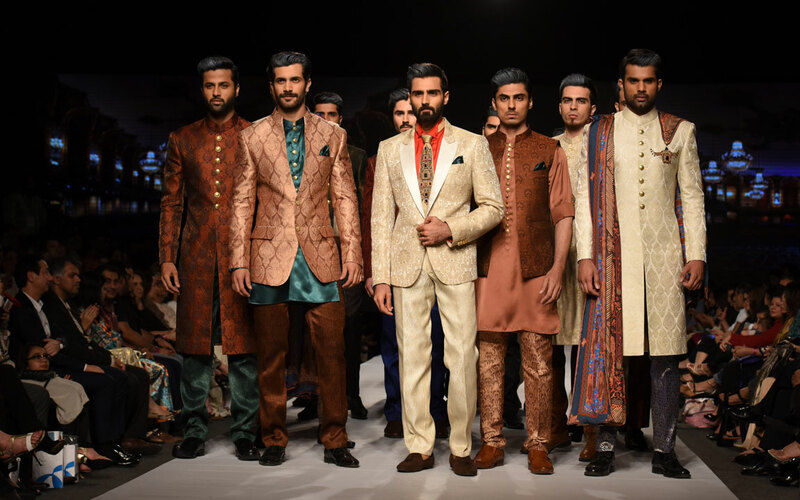 The men looked like traditional grooms (or one of the groom's brothers) clad in finely tailored suits and Kameez Shalwars, infused with rich jewel toned silk fabrics. 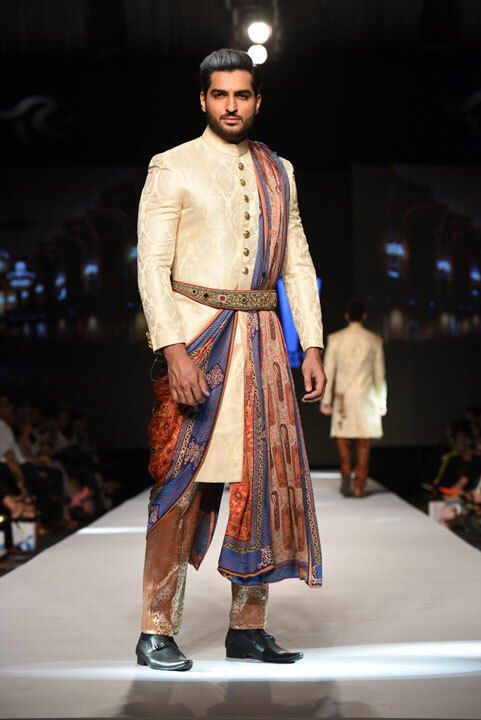 Even with the richness, the clothes were not over the top and still emitted class. 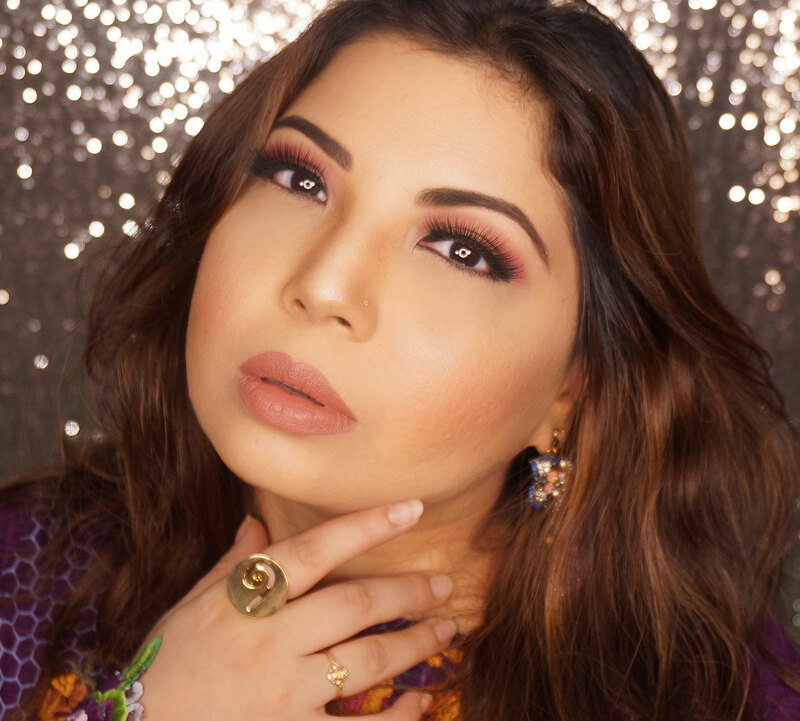 Wearable, for the bold not boring, every piece could be worn as a separate while looking complete as a whole look. 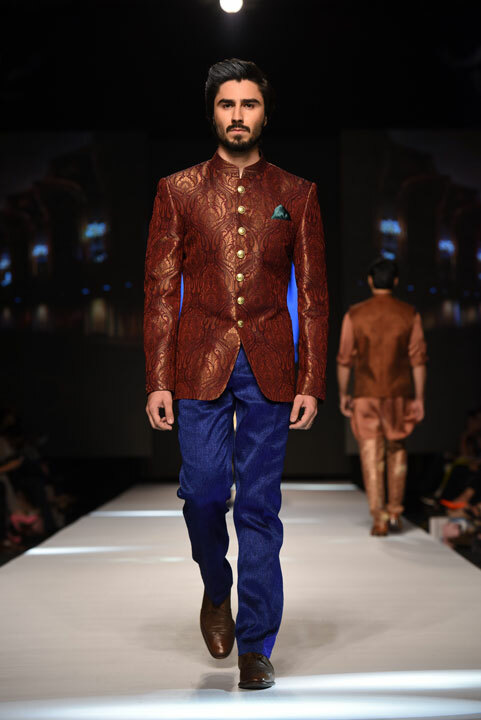 Clean fits and perfect tailoring is never questioned when it comes to Amir Adnan. 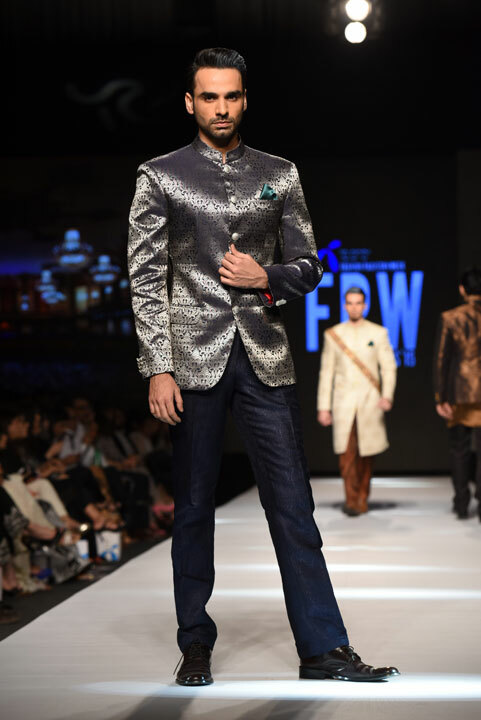 Standout piece was the delicious jewel encrusted tie which will definitely add five stars to any men who dares to wear it. 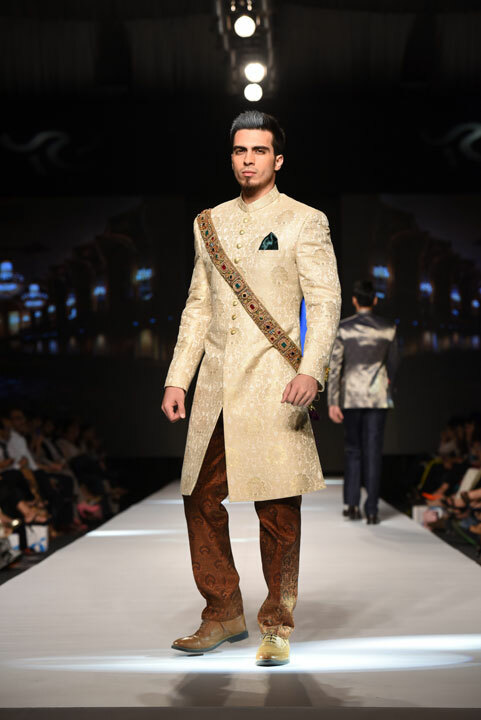 The collection will be the next best thing for the grooms-to-be who want to feel like royalty wearing Amir Adnan.